In more ways that one. Relocating back to the UK seems to be harder than having left in the first place, but the process trundles on. In the meantime, the resurrection of the Tribal Rhino brand and empire will need planning in a new form and executing. This will consist of new graphics which are already in key places, a YouTube channel where you can watch me be very uncomfortable on the wrong side of the camera, and a whole bunch of social media stuff you can follow me on. At some point, my 3D printer will arrive and then things will begin in earnest. I don't think I can wait that long though, so I'm busy making plans to get a new 3D printer that fits in the mid-range set, and I want to get a couple of bigger printers when time allows. By now you probably have 2 questions you're dying to ask. What's the point of a 3D printing empire when you don't have a 3D printer? What's the red and white and round thing you've got everywhere? Well, funnily enough, I can answer both of those in one swoop. Actually, it's probably not going to be that simple. 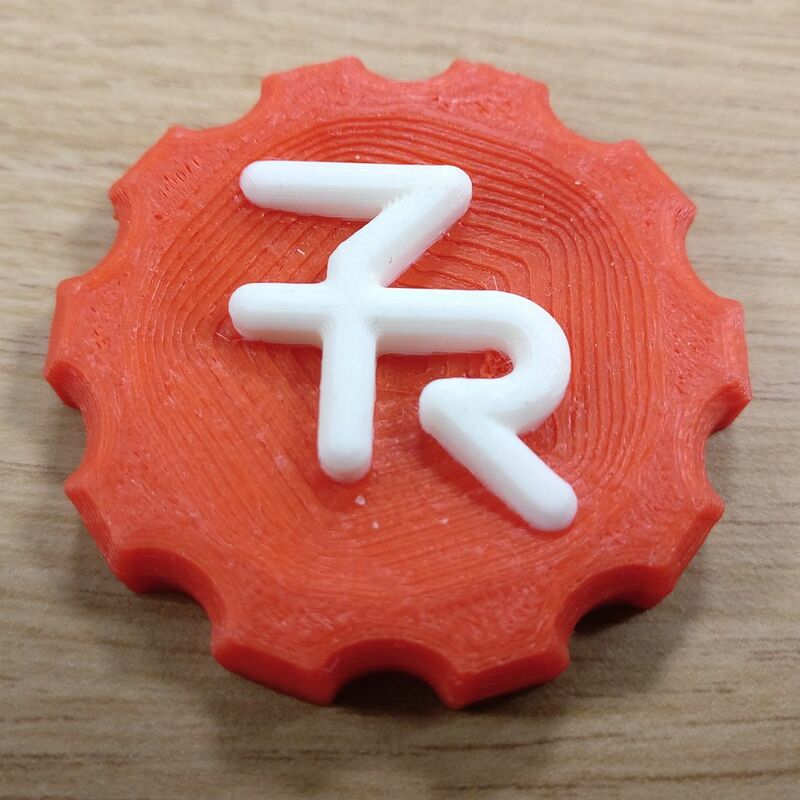 The red and white and round thing is a "Maker Coin". 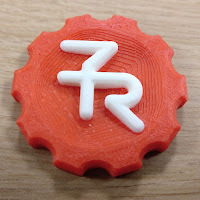 When is 3D printing nerds get together at maker fairs and the like, we show them off and swap them with each other... Sad, but true, kind of like business cards for 3D printing folk. It's also a good little "thing" to print to demonstrate a 3D printer... Which I do have access to, so important things that need printing can indeed be printed. As you can probably tell, I'm a little apprehensive about being in front of the camera. Fifteen years behind it has not really prepared me for appearing on camera myself. Ah well, how hard can it be? Everyone has to start somewhere... right? We'll all look back in a few years and laugh. Ah well, I'm working on shooting my first video this weekend weather permitting so prepare yourself for that. It probably won't be published until a bit later as I still have a lot to learn about video editing and the vlogging jump-cut... oh yeah, I know the lingo already. I'm not planning on flooding the world with my likeness in any hurry. Until I get my own printer for prototyping work or an actual workspace, there probably won't be that many at all, so I have plenty of time to practice. I'm also hoping to make a bit of side income from things, not enough to retire again, but enough to buy a couple spools of filament each month would be nice. This does mean that the social media thing has gone a bit nuts with "buy me a coffee" links and a whole load of crowdfunding for creatives I'm going to tap into at some point, oh and merchandising as well, But for now, you can follow me in the usual places, and they kind feed each other as well... hopefully. If I've missed any important ones, no doubt I'll bump into them at some point. Oh, go on then, if you want to buy me a coffee, please feel free.